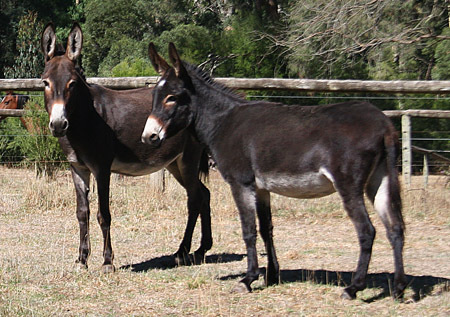 We didn’t set out to have Donkeys. 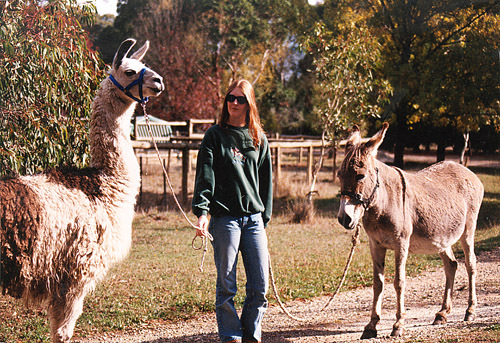 Years ago, one of our llamas decided he could no longer live with other llamas. He was particularly fierce on the subject. 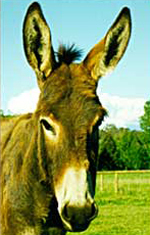 So, we learnt llamas and donkeys made great companions for each other, and hence, we rescued Dearest. Long-neglected, Dearest was a hilarious old dolly recovering from extreme founder. For a little over 12 months, she and Luke seemed content to graze and generally ignore each other in close proximity. Then, something strange happened. Luke changed his mind, and rediscovered his affection for his fellow llamas. 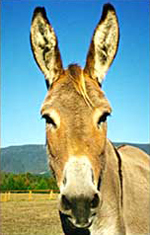 That left us in a quandary: what to do with Dearest? Along came Poppet. 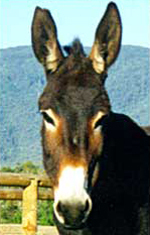 Another rescue Donkey. Only… Poppet was pregnant! But sadly, this was not the happy accident it should have been. Baby Humphrey arrived, unspeakably adorable, and just as suddenly, left us again, only weeks later. Poppet was devastated. So, of course, we had to find her a boyfriend so she could try again. Along came Moses. And then there were four: Dearest (who couldn’t conceive), Poppet, Moses and their baby, Precious. We planned to leave it there, but Moses had other ideas and the fences failed to do their job, so twelve months later, there were five, with baby sister Treasure. 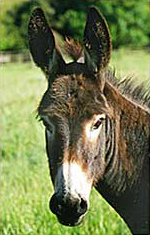 For many years, our little Donkey family trotted along happily, cuddling visitors and pruning blackberries, until in 2011, tragedy struck. Dearest finally succumbed to her advanced old age, and just months later, Poppet and Precious died, quite suddenly, side-by-side on the same day. We suspected snake bite. Left all alone, Treasure and Moses became the world’s closest father-daughter team… but suddenly, Kingbilli seemed so empty with only two sets of big ears about the place. 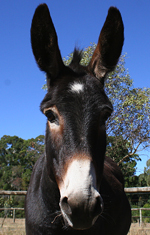 So, more than twelve years after the arrival of our first Donkey: we actually decided to get Donkeys! Valentine’s Day 2012, Fernando arrived. A pedigree white Irish Miniature stallion, he has more personality in his 38 inches than the average Clydesdale. Sadly, Fernando and Treasure just never hit it off, and we lost dear Treasure to cancer in 2017. So at present, Moses and Fernando live together as semi-confirmed bachelors… whether or not this will change remains open to discussion!